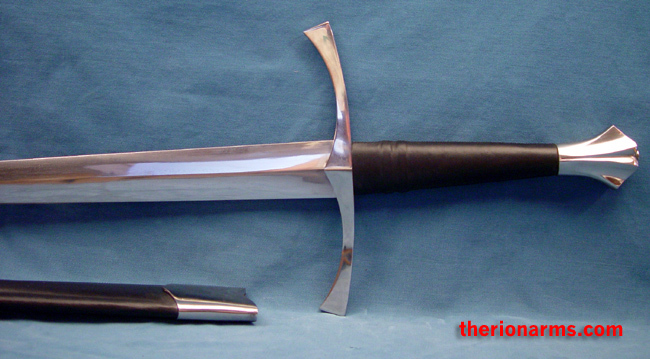 The era of the longsword spanned about three centuries (approximately 1350 to 1650). Longswords featured a distinctive cruciform hilt and a long, double edged blade that was equally useful at opposing both lightly and heavily armored foes. 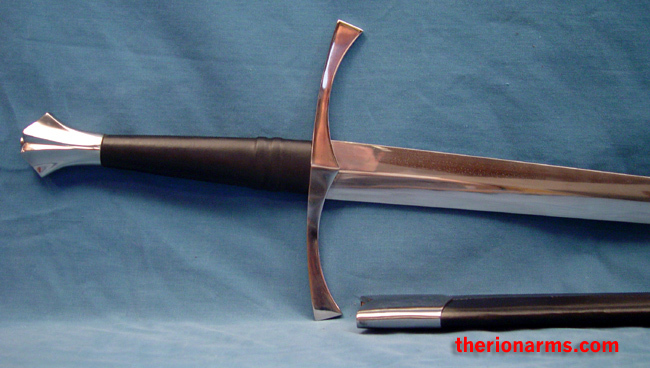 The long blade offered reach and leverage for powerful stabbing, cutting and chopping strokes while the long cross guard and heavy pommel were useful for hooking, striking and smashing. When heavy armor was encountered, blows with the edge were abandoned in favor of half-swording techniques where one hand grips the hilt and the other the blade to better direct the point in powerful jabs to accurately thrust at the small gaps and joints present in a suit of armor. 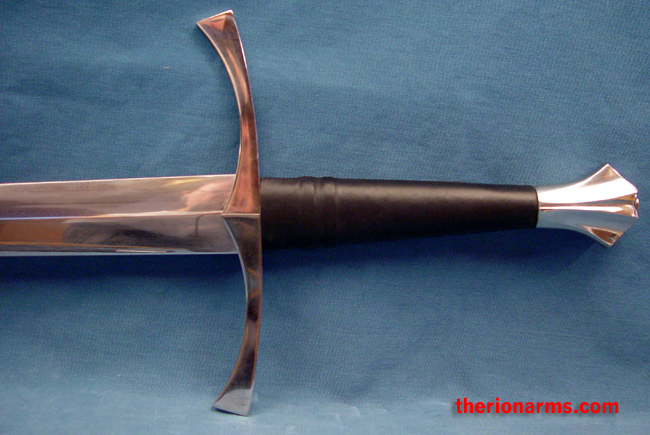 This longsword features a ridiculously tough and sharp and well balanced 1055 high carbon steel blade, fish-tail pommel, and a leather covered wooden scabbard with steel fittings. Also available is a matching dagger/main gauche. 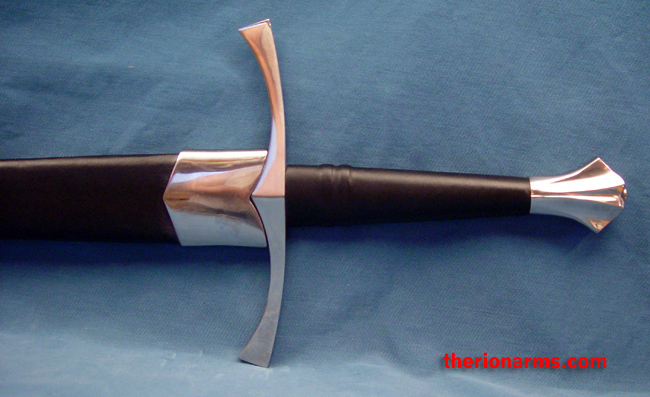 grip and pommel: 9 1/2"